Reasons for concern: Kentucky bluegrass can easily escape home landscapes and take over natural areas, particularly where there is additional moisture. 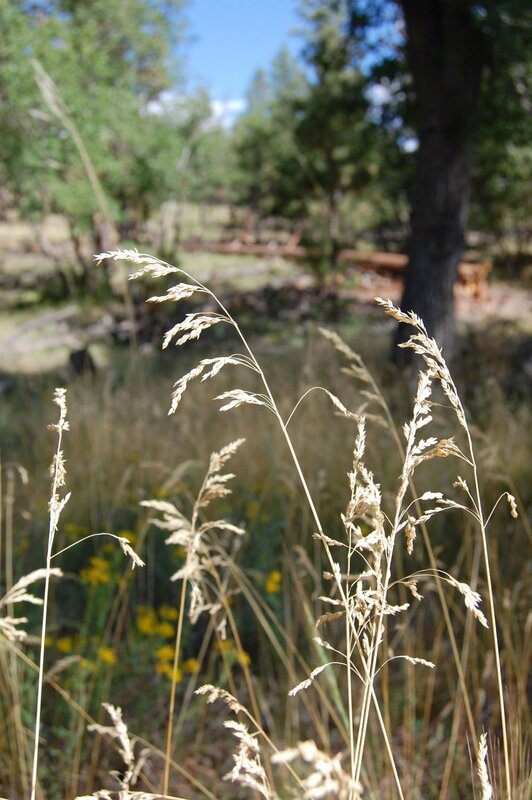 It will outcompete more desirable native plants and reduce plant diversity and favorable wildlife habitat. Botanical description: Sod forming grass. Leaves: Leaves soft, smooth, 6 to 12 inches long. Greens up after drought. Can be distinguished from other grasses by its narrow leaf blade, which is V-shaped in cross section, and is boat-shaped at tip. 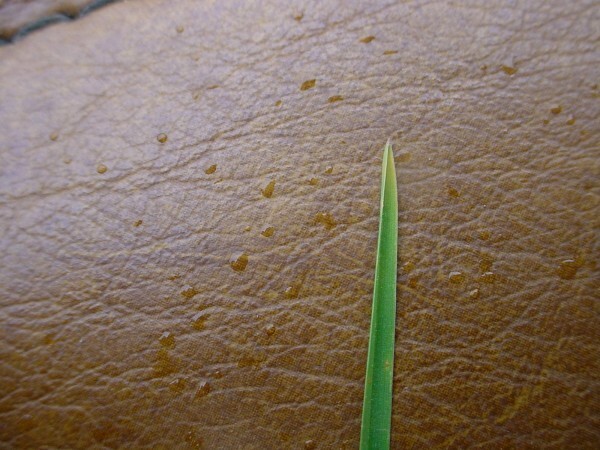 Leaf blades have 2 distinct, clear lines, one on each side of the crease. Stem(s): Grows low to the ground in early spring and fall. Grows erect in late spring and summer. Up to 18 to 24 inches tall, slightly flattened (not quite round). Seed heads: Loosely branched. Green to purplish. Goes to seed April through July. Cobweb-like hairs are at the base of the seed. Roots: Fibrous root system shallow to deep. Root growth greatest in spring and fall, slows dramatically in summer. Extensive rhizomes. Where it grows: Roadsides, orchards, landscaped areas, pastures, rangelands, grasslands, riparian areas, forests and meadows. Tolerates partial shade. Does not tolerate poorly drained sites. Grows best in cool, moist places on soils rich in organic matter and with full sun from mid to high elevations. Reproduction: By many tiny seeds and rhizomes (horizontal underground stems) Kentucky bluegrass. 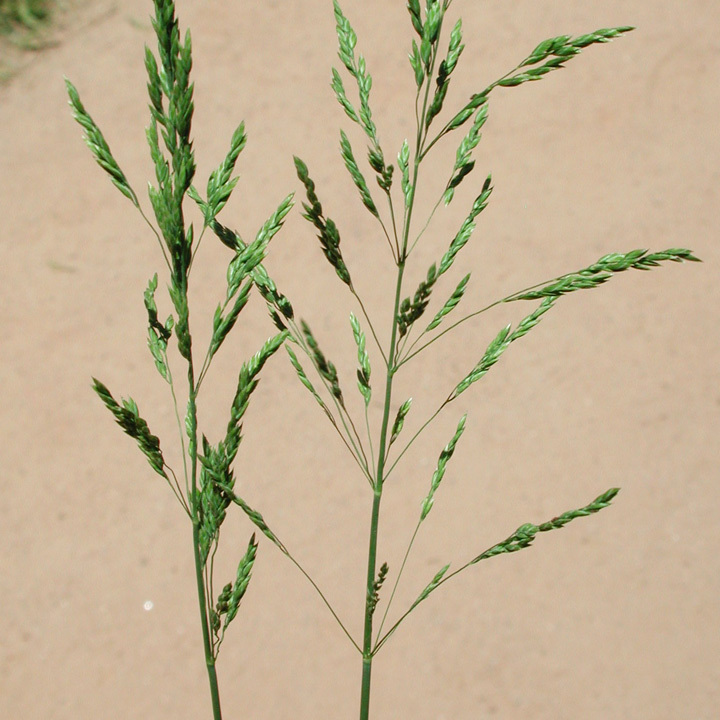 Weedy characteristics: There are more than 2,000,000 tiny Kentucky bluegrass seeds per pound. Buried seeds can survive more than 30 years. Many long and thick creeping rhizomes help plant to spread extensively and are hard to completely remove by digging. Goes dormant during heat of summer, but revives with rains. 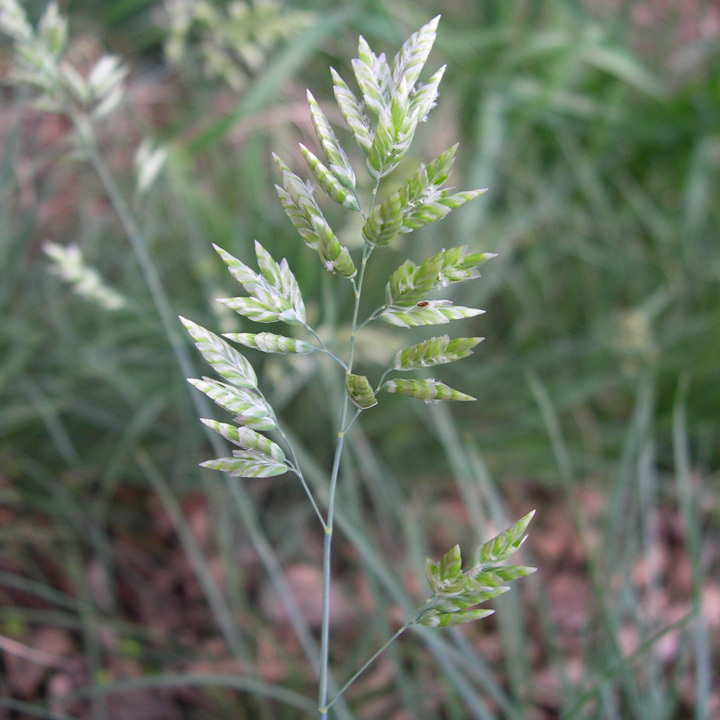 Look-alike native plants: Related grasses in same genus, such as muttongrass (Poa fendleriana) look similar to Kentucky bluegrass. Muttongrass is a bunchgrass and does not spread by rhizomes. It goes to seed in June or July. 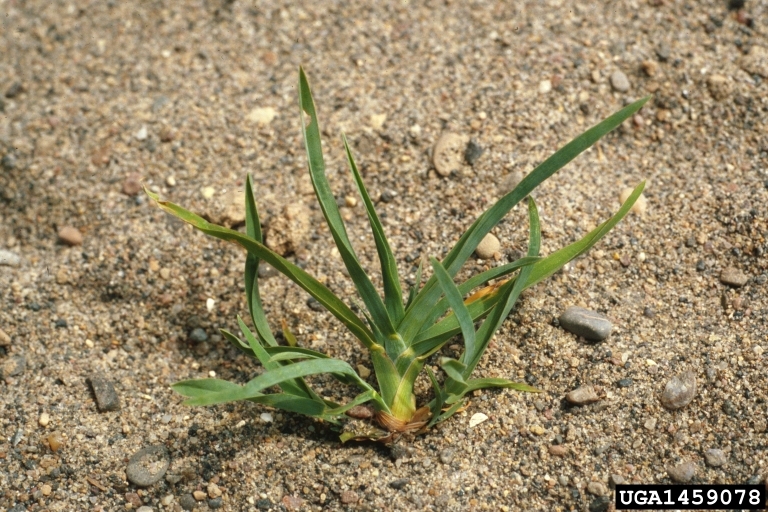 Control strategies: Do not let this grass go to seed. Use weed barrier cloth or heavy mulch, if appropriate. It is difficult to eradicate because it is a perennial. Try to get the roots, without disturbing soil too much. Frequently monitor previous infestations for new growth. 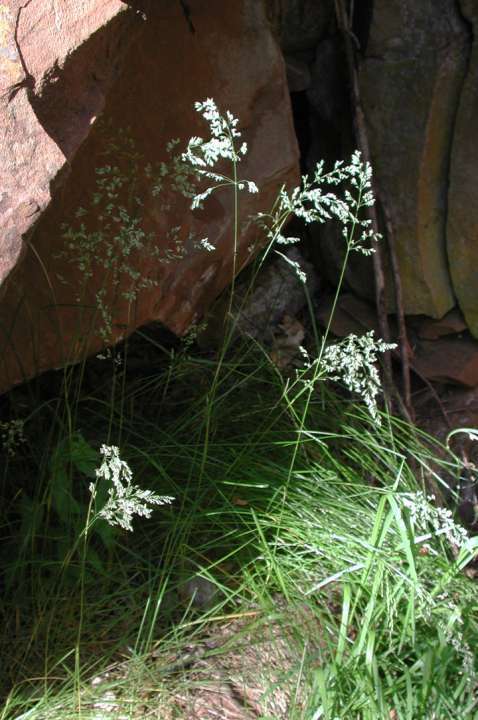 Plant desirable native species to outcompete invasives.